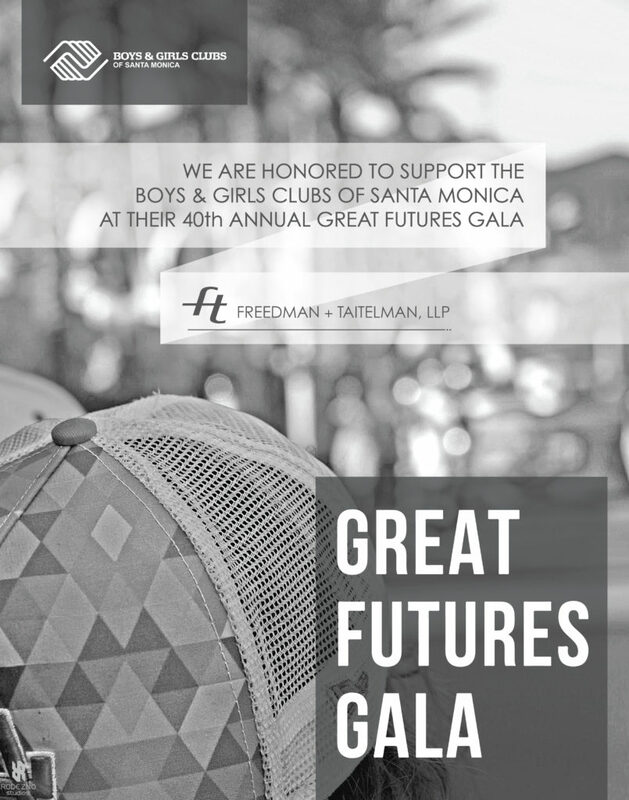 Freedman + Taitelman, LLP ad design for their Boys & Girls Clubs of Santa Monica Great Futures Gala 2016 ad. 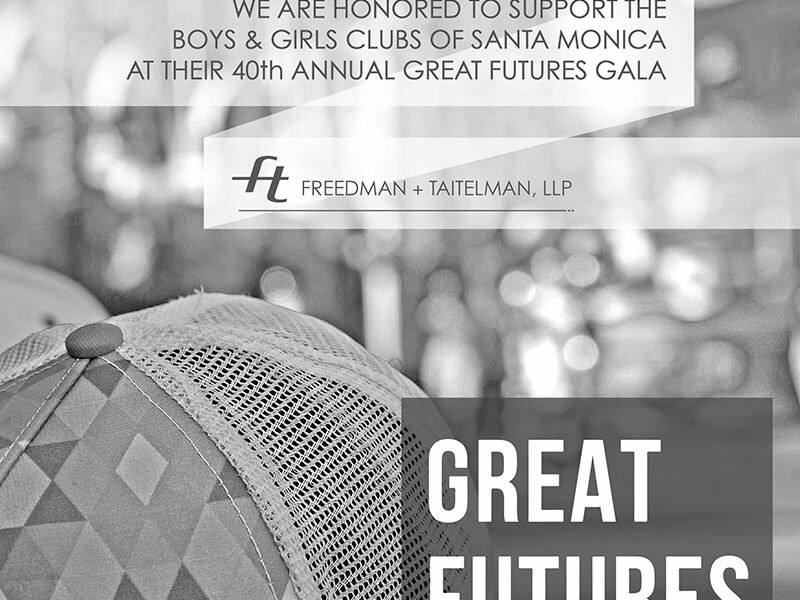 Our client needed an ad design and handeling of all matters with Boys & Girls Clubs of Santa Monica’s print department. We created an effective ad that met the communication needs of our client and implemented their logo in the design to strengthen the branding experience for our client. We selected one of our photographs to support the ad’s design message. The photo features our founder’s daughter, Alyssa Rodezno, in the photograph wearing the hat while taking in a parade at Disneyland. Services Provided: Ad design, Rodezno Studios licensed photo in ad, photo editing & handeling all matters with The Hollywood Reporter including their print department.